Dr. Russell Petrella, President and Chief Executive Officer of Beacon Health Options, is a clinical psychologist with more than 40 years of experience as a clinician, state official, and health care executive. Dr. Petrella also chairs the Executive Leadership Team for Beacon Care Services, a newly established Beacon business that increases access to quality mental and behavioral health care in local communities. Early in his career, he practiced at the Center for Forensic Psychiatry in Ann Arbor, MI, which led to his appointment as the Director of Forensic Services, and later as the Director of Mental Health and Substance Abuse Services for the Commonwealth of Virginia. In those roles, he worked on a variety of initiatives to foster rehabilitation and recovery and to enhance community-based care. 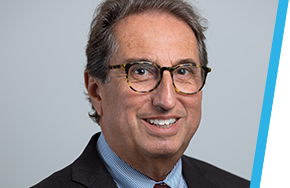 Dr. Petrella most recently served as Executive Vice President for EmblemHealth and Chief Executive Officer for Advantage Care Physicians, one of the largest population health-focused multi-specialty physician practices in New York City. Prior to that, he held national roles as President of Magellan Behavioral Health and President of Community & State (Medicaid) for United HealthCare. Dr. Petrella holds a Doctor of Philosophy (Ph.D.) in clinical psychology from Washington University in St. Louis and a Bachelor of Arts in psychology from Syracuse University. He has been a fellow and president of the American Academy of Forensic Psychology and a board member and president of the American Board of Forensic Psychology.